As the British weather has been enjoying a bit of a (rare) heatwave at the moment, I've found I've started to have to deal with the type of beauty dilemmas that I would experience on holiday abroad. One of those is dry and frizzy hair. I was blessed with long thick hair which is really lovely to have, but as the temperature and humidity rises, my hair starts to resemble one big ball of craziness. 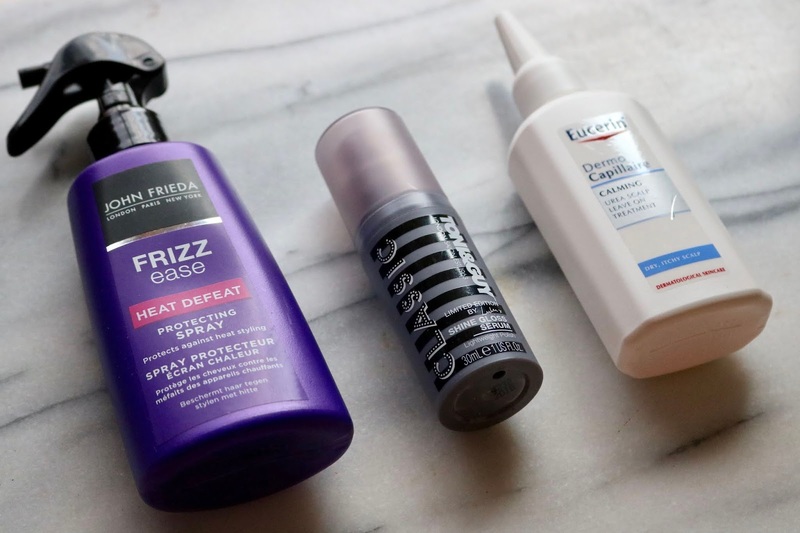 It can be a right nightmare to handle, but after much trial and error, I think I've managed to put together a routine and dream team of products that are helping me tackle my dry scalp and frizzy ends. 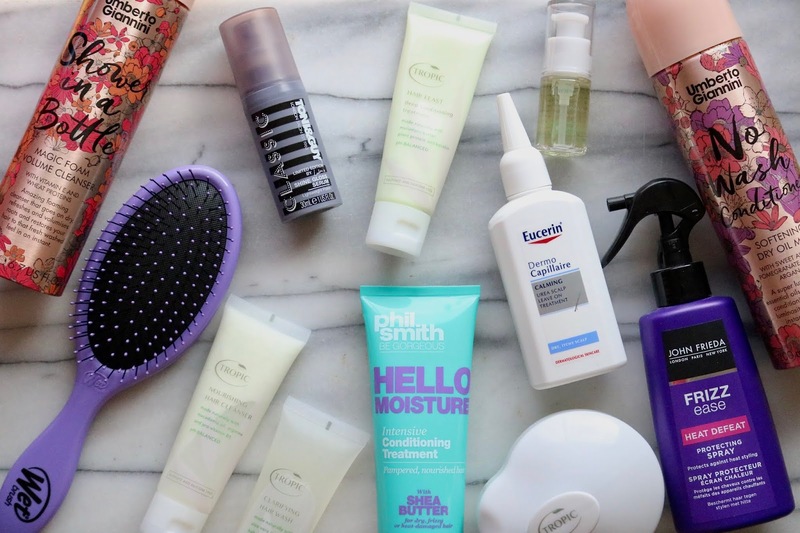 Take a peek below to see what I've been using to protect my dry and frizzy hair this summer. 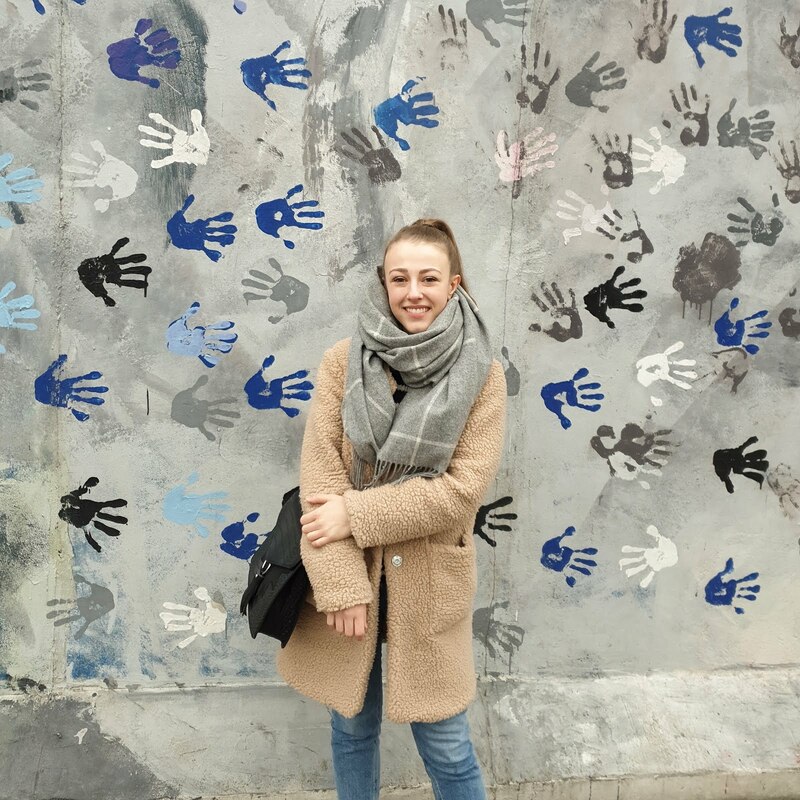 I've come to realise that if you want to help protect your hair from becoming dry and frizzy in the heat, you need to be starting off with the right products, because if your shampoo and conditioner aren't suitable, then you will have a big job on your hands trying to tackle your hair. When looking for the right products, I tend to look at the ranges rather than the singular products themselves. Tropic has created the Hair Care Discovery Kit and Scalp Massager* that's suitable for all hair types and infused with essential oils such as blood orange, peppermint, vanilla and coconut. The Nourishing Hair Cleanser is something I wasn't sure I'd like as it's non-foaming (I like to see shampoos foam up as it looks like they're doing something), but I've been pleasantly surprised. This ph-balanced formula calms the scalp if you have any irritation or flakiness, and used along with the Scalp Massager it dislodges any dead skin cells while boosting blood flow. With jojoba oil to help regulate oiliness (great if you suffer from folliculitis) and aloe vera juice to hydrate, I've found this has worked really well at tackling my frizziness. On days when I have a lot of product build-up, I switch to the Clarifying Hair Wash for a more powerful wash without affecting my sensitive scalp or stripping the natural oils in my hair. Using coconut and aloe vera, this shampoo foams up slightly to cleanse the hair while soothing the scalp. After shampooing, I move on to the Hair Feast conditioner which I've found super moisturising to fight frizz and great at keeping split ends at bay between haircuts. Plant proteins also help strengthen the hair, and I've been using it as a hair mask as well as a normal conditioner by leaving it on for 10 minutes. After towel drying, I apply the Hair Smooth Radiance Oil to tame flyaways and frizz that have escaped the moisture of the conditioner. I only use one pump to get the moisture I need, as too much can add a greasy look to the lengths. This contains Abyssinian oil to improve the hair's manageability, and can also be used before shampooing to break-up product build-up. 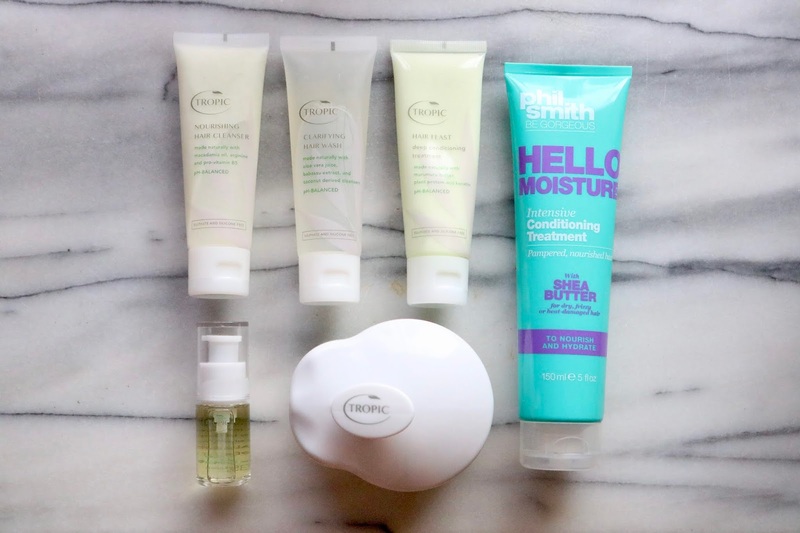 When I've been really struggling with frizz or I've used a lot of heat on my hair, I've been treating it with the Phil Smith Hello Moisture Intensive Conditioning Treatment*. This cruelty-free hair mask is perfect for tackling dry and frizzy hair, using shea butter to help pamper and nourish lengths. I'm addicted to how this leaves my hair feeling and smelling and so I now use this once a week to treat my hair. 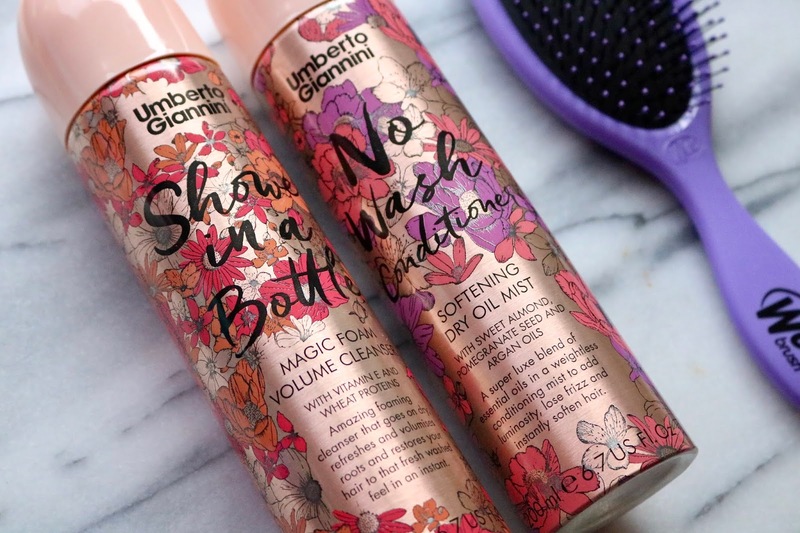 I find styling with the right products just as important as using the right shampoo and conditioner, as I now have to blowdry my hair to help smooth my hair. If I don't use these products when styling, I find I end up with static and wiry ends. Ever since I started blow-drying my hair, I have religiously used a heat defense spray. I'm currently loving the John Frieda Frizz-Ease Heat Defeat Protecting Spray to use before I start to style my hair. The spray nourishes the hair while protecting against humidity, and most of the time I find it does the trick for keeping frizziness at bay. I honestly can't live without this and it goes with me on all my travels when I know I'll be styling my hair. If I find that the spray hasn't done the trick completely, I reach for a shine serum. I recently found this Toni & Guy Classic Shine Gloss Serum in the back of my beauty cupboard and I now use this after blow-drying to smooth any leftover frizz. One pump of this lightweight formula leaves my hair super smooth without weighing my hair down and keeps me frizz-free for at least a day. On and off throughout my life, I have suffered with a dry scalp and dandruff. If I feel like my hair needs a treatment I'll use an anti-dandruff shampoo, but sometimes I'll get an itchy scalp after washing. When this happens, I've been reaching for the Eucerin DermoCapillaire Calming Urea Scalp Treatment*, which has become one of those products are just can't live without. If I see a patch of dandruff that I've missed when washing my hair, I squirt a small amount of this onto the area and gently massage it in. And voila! Dandruff and itchiness vanishes! The thing I love about this is the fact that it doesn't leave my hair greasy- it's almost a water-like consistency meaning it is completely absorbed into the scalp. I've also found that this has been helping me long term, as now I don't get a dry scalp as much. In the past, I have normally just left my hair to its own devices in between washes, but I've now added a couple more products that have been making a huge difference to my day old and two-day-old hair. Firstly we have this fab vegan pairing from Umberto Giannini, which I have been using for a good few months now and have been really helping me out. The Shower in A Bottle cleanser* is an alternative to dry shampoo as it's in a foam consistency. This cleanser dissolves product build-up and grease while giving you a touch of volume without the chalkiness of dry shampoo. I've found this doesn't work as well on my two or three-day hair as a dry shampoo but found it works really well the day after washing to remove any tackiness around my crown area. Out of the two, I've actually been using the No Wash Conditioner* more as I've found this perfect to fight static ends. This weightless dry oil mist contains sweet almond, argan, and pomegranate seed oil, and adds a touch of moisture to lengths while tackling frizziness. If you have fine hair, spray this on before styling to give your lengths volume, but if you have thicker hair, then use this as your pick-me-up in between washes. Lastly, I can't forget to mention my number one tool for my hair- my WetBrush. After hearing Lily Pebbles talking about this brand, I quickly snapped one up and I've loved them ever since. 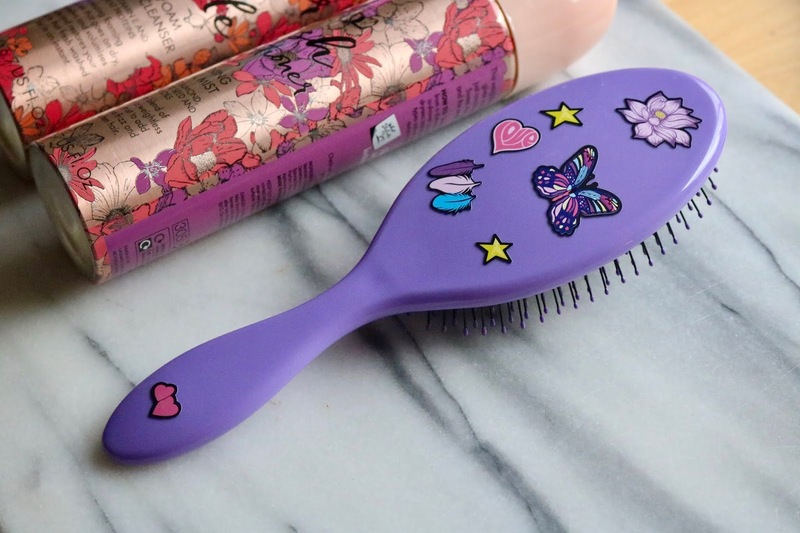 They have recently launched a new sticker collection so that you can use to customize your fave brush if you can't decide from all the wonderful designs they already have. This brand of brushes is the only one I've found that detangles my hair painlessly, without flying out my hand (looking at you Tangle Teezer), or breaking my ends. These products have been helping me out so much to manage my dry and frizzy hair this summer, and I hope they continue to do so! I'd love to know if you have any products that help you out with your hair when the weather gets warmer.